“During the next month neighbors of the Murphy Windmill in Golden Gate Park can watch workers finally cast the old stub’s fourth, fifth and sixth floors. A large crane installed the windmill’s eight main posts during the weekend and now the sheathing, doors and windows will take about a month to construct. If all goes according to plan, the cap and blades from the Netherlands will be ready for assembly as early as mid-August. The 105-year-old windmill is the younger of two in the park and sits boarded up about 300 yards from Ocean Beach. It was initially used to pump water that irrigated the park, but after decades of neglect, the windmill fell into disrepair. 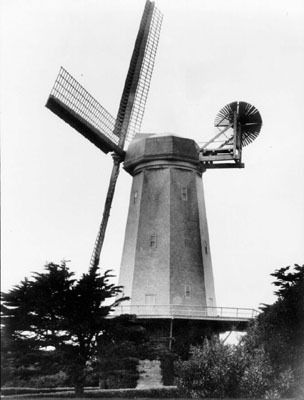 For about 10 years Campaign to Save the Golden Gate Park Windmills has worked with The City to raise about $4 million for the restoration of the windmill. Paula March, a former consultant with the campaign, said the road to renovation has had several kinks including a bad economy, too many cooks in the kitchen and contracting roadblocks. “But I think when the public sees what an incredible machine that it is, people will be blown away,” March said. The 100-year-old, Colonial New England-style cottage next to it has been vacant since 2003. The caretakers of the windmill used to live in the two-story home. Rec and Park is working on a $900,000 project to restore the cottage and then turn it into a restaurant. via Murphy windmill stub on the verge of renovation | Kamala Kelkar | Local | San Francisco Examiner. 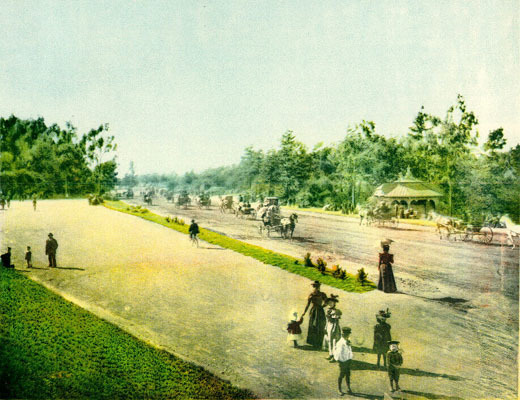 This entry was posted in history, infrastructure and tagged golden gate park, golden gate park history. Bookmark the permalink. This is cool. So nice to have a project everyone can be supportive of. Look forward to seeing the windmill in action!